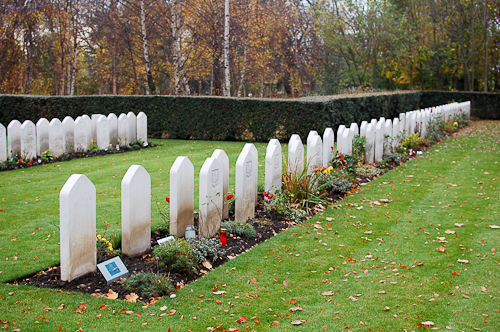 The Corstorphine Hill cemetery, Edinburgh contains 175 Polish war graves. The Polish burials took place in the years between 1941 and 1948. In the photo above a couple of the Polish headstones have been removed for restoration by the Commonwealth War Graves Commission and replaced with temporary markers. At the top of the photograph there is a group of British and Commonwealth war graves which also contains four Polish war graves for the year 1948. A video about the Polish war gaves at Corstorphine was made for the Polish Consulate in Edinburgh by Fresh Mint Studio and released in December 2017. 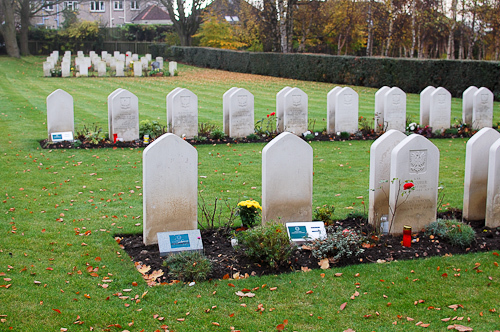 Polish War Graves / Corstorphine from freshmintstudio on Vimeo. List of names and photographs of the Polish war graves at Corstorphine Hill cemetery, 28A Drum Brae South, Edinburgh, EH12 8SZ. 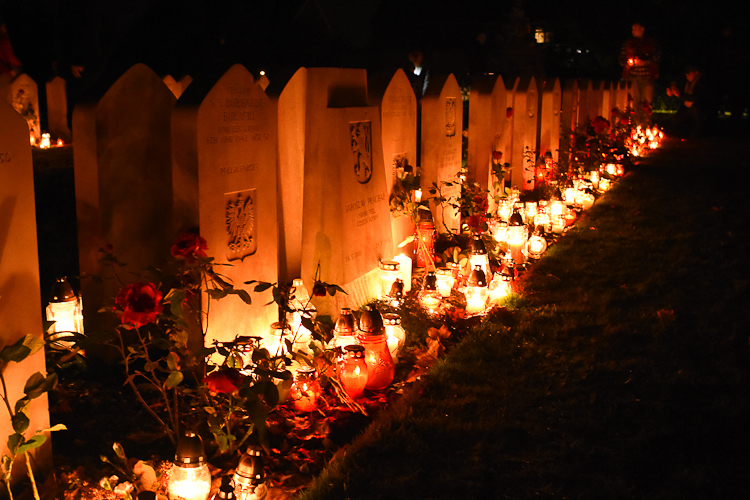 Polish Scouts Honour Sacrifice of Polish Armed Forces at Corstorphine Hill cemetery in Edinburgh on 1st November 2015. Edinburgh Polish Scouts Commemorate All Saints Day at Corstorphine Hill cemetery in Edinburgh on 1st November 2016. Entry to the cemetery is via a lane off Drum Brae South.